There is a lot of controversy about cannabis and how CBD can help with anxiety. Some people say that marijuana eases stress and anxiety while others say that it exacerbates it. While cannabis is going to affect people in different ways, the most obvious reason that this dichotomy exists. That is because the different components of cannabis cause different effects. This is why when taken alone, CBD can help with anxiety. Many herbalists would be skeptical about isolating certain compounds from a plant and delivering it as medicine. However, in the case of anxiety and marijuana, the ability to extract CBD has allowed the marijuana industry to offer a natural remedy for those suffering from anxiety. THC is the only psychoactive component of cannabis and it can aggravate anxiety in those who are prone. This is why some people say that cannabis can, in fact, cause the symptoms of anxiety. CBD, on the other hand, is not psychoactive but is actually anti-psychotic. This remarkable difference between two cannabinoids that come from the same plant can mean the difference between causing anxiety and relieving it. Understanding anxiety and how other medications work to treat it helps us to understand why CBD is a good medicine for those who suffer from anxiety. Ultimately, CBD is a natural alternative to certain anti-anxiety pharmaceutical medicines that don’t have many side effects. In a world where pharmaceutical medicines are sometimes posing more threats than they cancel out, CBD is a welcome change. Before we ever understand how CBD can help with anxiety, we first need to understand what it is exactly. As much as we consider anxiety to be an unproductive human response, it is not. In moments of threat, anxious responses can help us to get away or protect ourselves. The feeling associated with anxiety are part of the “fight or flight” response that is inherent in the human system. This serves many purposes. However, when this mechanism is out of control, “fight or flight” responses occur at moments where there is no apparent threat. Those with anxiety enter modes of protection, defensiveness, and fear even in the absence of a threatening stimulus. Many of us experience symptoms like this at some point in our lives. The difference with those who are diagnosed with anxiety is the activation of these symptoms on a constant and regular basis. It is not uncommon to experience an increased heart rate and difficulty breathing in the presence of a threatening situation. However, those with anxiety can experience these symptoms when there is no real obvious reason to be experiencing them. Many conventional pharmaceuticals for anxiety such as Zoloft and Xanax can leave patients with a number of side effects. They target neuronal activity and over a long period of time, may become ineffective or cause unwanted and severe side effects. As a result, many people search for alternative treatments that are natural, herbal and effective. And this is why many people with anxiety are turning to CBD. In other articles, we’ve talked about the way that CBD interacts with the endocannabinoid system in the human body. To put it simply, CBD works in more peripheral ways rather than targeting certain cannabinoid receptors, such as CB1 and CB2. Just for a fun fact, it is actually THC that excites these receptors and encourages the body to behave in different ways. CBD uses other peripheral mechanisms in the body to decrease the symptoms of anxiety and even mild depression. It does not always do this by elevating the mood. Rather, by encouraging the body and brain to work more efficiently, negative symptoms are reduced and the mood naturally elevates. The 5HT1A is a receptor in the brain that is activated by serotonin. The serotonin neurotransmitter plays a role in a number of functions of the brain, including mood, learning, sleep, libido, and bone health. Many pharmaceuticals prescribed to treat anxiety target serotonin and serotonin receptors specifically because of this neurotransmitter’s effect on mood. CBD is an agonist of this serotonin receptor. This means that when CBD binds to this receptor, it can encourage it to produce more of the serotonin neurotransmitter. An increase in serotonin levels in the brain and the synapse space (space between two neurons) can increase the mood and can do it very quickly. GABA is another very important and basic neurotransmitter of the brain. After neurons have been active for a long time, GABA comes with the signal to “back off”, telling those neurons that it’s basically time to stop firing. Many different brain cells respond to GABA, so when this neurotransmitter is released, a sharp inhibition of neuronal activity can take place on a number of different brain functions. Not an awful lot of study has been conducted about CBD’s interaction with this system. However, this study published in the Journal of Pharmacological Research investigated exactly this point. They found that in moments when GABA release was low, CBD could provoke the current of this neurotransmitter and amplify it by up to four times. 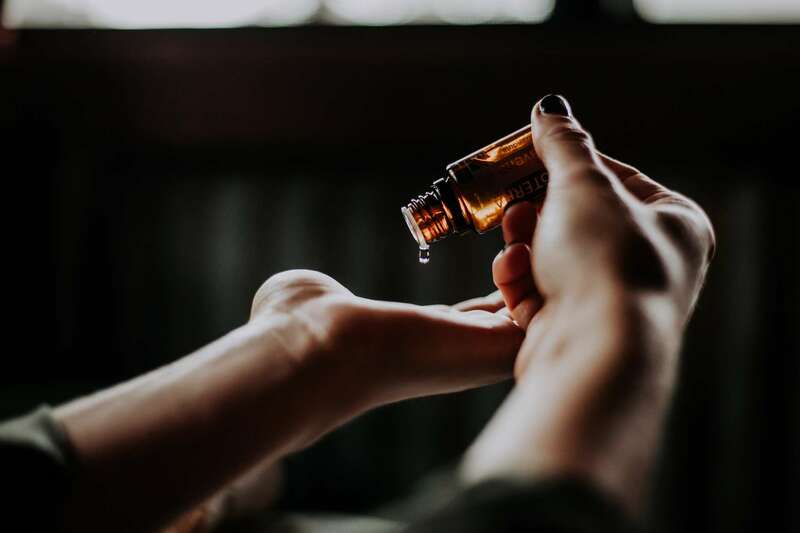 And in fact, this finding makes CBD more powerful and fast acting at treating this particular symptom of anxiety than other pharmaceutical medications. Essentially, neurogenesis is the formation of new neurons (nerve cells). When we are children, neurogenesis happens often and quickly. For the most part, modern medicine has believed that in the adult brain, neurogenesis does not take place. However, in the mid-sixties, medical professionals discovered that neurogenesis does happen in the adult brain of many species including human beings. Most neurogenesis takes place in the hippocampus, and CBD targets this area of the brain. Cognition and memory formation are some of the roles of the hippocampal area. A small sized hippocampus is a symptom of anxiety and depression, and treatment often involves new neuronal development in this part of the brain. CBD may actually help the hippocampus to generate new neurons according to this research. 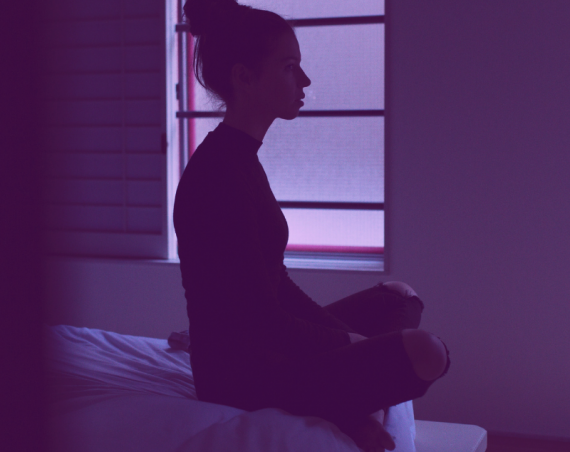 By encouraging greater neuroplasticity and neurogenesis, CBD can help with anxiety by treating some of the underlying causes of anxiety or depression – such as memory. As we talked about earlier, pharmaceutical medicine can bring on some side effects that can worsen a situation over the long term. This is not necessarily true for all medications or for all people, but it is a common complaint from those who take anti-anxiety medications and antidepressants. Even cannabis, if taken in the wrong way, can cause unwanted side effects. In many of those who suffer from anxiety, the stoned effect caused by THC is one of those unwanted side effects. CBD can help with anxiety as a natural alternative to pharmaceuticals without having the psychoactive effect of THC. 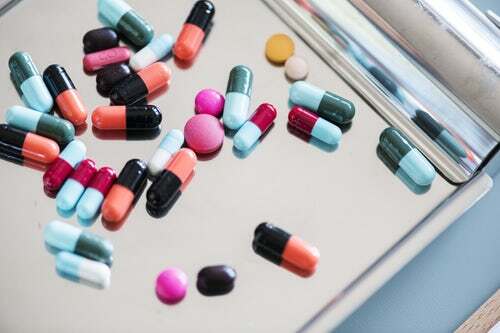 In general, side effects from pharmaceutical anti-anxiety medications include nausea, drowsiness and in some extreme and severe cases, suicidal thoughts. CBD poses no such threat of either mild or severe side effects. If the dose taken is too high, then CBD can cause drowsiness. That’s just about as bad as it gets. What we now know about pharmaceutical medication and their effects on other parts of the body such as the liver and kidneys, it is exciting to see the possibility of an alternative. More and more people are searching for a solution that does not cause more problems than it solves. Moreover, people want a more sustainable and accessible medicine. CBD is working towards exactly this kind of sustainable and effective herbal remedy. While CBD can help with anxiety, remember always to seek the advice of a medical professional!